Every time Art of Mentoring initiates a mentoring program, interested mentees are asked to complete an application questionnaire. In the last year, nearly 600 mentees from a very diverse mix of occupations and career stages have participated in our online programs and each has been asked to identify the top competencies sought from a mentor in order to meet their own development needs. Answers were chosen from a list of about 30 options. Recently we analysed the data from this diverse array of corporate and association mentoring programs to see if anything could be learned from their responses. Mentees’ self-identified “top 5” development needs held some surprises and some important learning for L&D professionals. No one would be surprised that developing career plans and working toward career objectives would rank highly when entering a mentoring program. However, the other development needs present some interesting insights for us, as designers of mentoring programs, and for HR and L&D executives more generally. Let’s look first at self-confidence, which was identified by almost a third of respondents as a development need. These results are very consistent with our experience in face-to-face training sessions, where lack of self-confidence is invariably raised as a concern amongst mentees. Self-confidence is not only important to the individual, but to the organisation. A self-confident individual knows his or her own value and is better able to articulate it. This obviously benefits the individual, but it also helps the organisation to capitalise on that individual’s strengths. Further a self-confident employee is likely to run more successful meetings, operate with greater autonomy and step up to a leadership position when needed. One might argue that self-confidence can only be gained through experience and maturity. However, our experience is that mentoring programs most certainly assist in developing self-confidence in both mentors and mentees. When we conduct surveys on completion and even one-year post completion of a mentoring program, increased self-confidence is invariably cited as a key benefit of the program, whether or not it was a goal at the outset. We postulate that mentees derive confidence from being supported in a mentoring relationship, while mentors gain confidence by having a mentee look to them as a role model. The fourth and fifth ranked development needs, decision-making and problem solving, are basic, core critical thinking skills. Interestingly, we see these skills as inexorably linked to self-confidence. Without self-confidence in general can you trust your own decisions and solutions? If you don’t trust your own decision-making and problem-solving skills how can you feel self-confident? If you lack sound decision-making and problem-solving skills your self-assuredness becomes cockiness – a hazard rather than a benefit for organisations. In our experience these basic skills do not always make it onto management or leadership training courses. Critical thinking skills can be learned but it takes some skill to teach them. So it is actually a big ask for mentors to be entrusted with developing decision-making and problem-solving skills in their mentees. It’s one thing to provide career guidance and open doors to networks, it’s another altogether for a manager not normally accountable for L&D to be expected to role model or teach decision-making and problem-solving skills, or even know where to refer the mentee for such training. Can L&D Offer More Opportunities to Learn Critical Thinking? For professional mentoring program designers, a key take away is the need to design training and resources for mentors that helps them to provide the self-confidence and skills training that mentees need. Art of Mentoring training programs already provide training to help mentors to listen better, ask good questions and give constructive feedback, all of which lends itself to building self-confidence. Skilled mentors naturally ask the kinds of questions that stimulate critical thinking and this could build critical thinking capacity in their mentees. However, most mentors and mentees needs assisitance so there is also room for us to supplement our training with specific assistance in testing and improving mentee’s decision-making and problem-solving skills. For organisations, it is time to start tackling these issues from an overall L&D perspective. Obviously we would advocate for the use of mentoring programs, which have already proven effective in fostering self-confidence. Perhaps it is also time to go back to basics and offer training for core skills like decision-making and problem-solving at a number of levels within the organisation. Organisations also need to consider the role of the line manager in building self-confidence and core skills. It’s time to consider how to upskill managers to coach and give better quality feedback to build self-awareness and confidence in their direct reports. 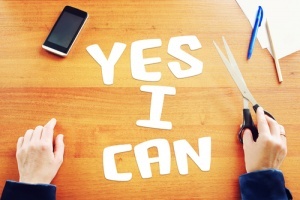 Building self-confidence, and the key skills needed to foster self-confidence, should be considered a priority in organisational learning and development. Mentoring programs have an important role to play in nurturing and building organisational confidence. What other tools and resources can L&D professionals employ to build core skills and self-confidence? Melissa Richardson is one of Australia’s experts in coaching and mentoring having worked in the field for nearly 20 years. She has designed and implemented programs across many public and private sector organisations. At Art of Mentoring we provide tools and resources for all aspects of the mentoring program design, implementation and evaluation. Please contact us for more information or take a look at our blog for more articles on mentoring.